1.5 Hr. 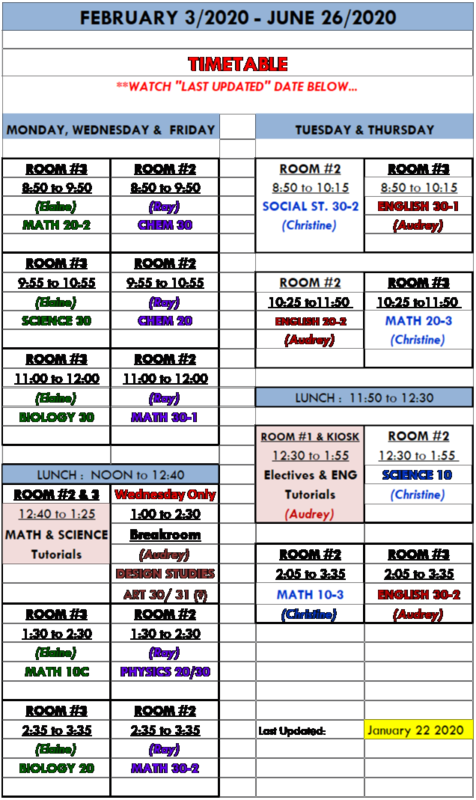 classes on TUESDAY & THURSDAYS as per schedule below. *Please check back to this page frequently [note: “Last Updated” date], or call [403-782-5040] for more information. Also note: Additional kiosk time will be scheduled for all funded students.